For the last couple of months my wife and I have been in Southeastern Arizona getting away from the cold and rain of the Northwest winter. For the most part (I would say 98% of the time) we have succeeded, for the days have been sunny, warm (in the 70’s), and altogether blissful. This is the fourth year that we have been fortunate enough to be able to spend a few months at this particular spot in Arizona called Green Valley—an area that is a great location for birding in southern Arizona. 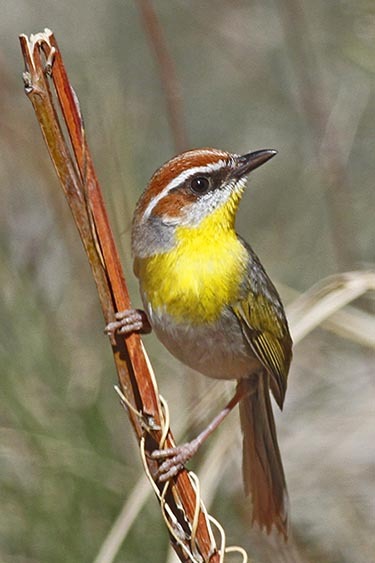 About ten miles from our townhouse is Madera Canyon, located in the Santa Rita Mountains—for many years now, a world-renown location for bird-watching. It is a major resting place for migrating birds. 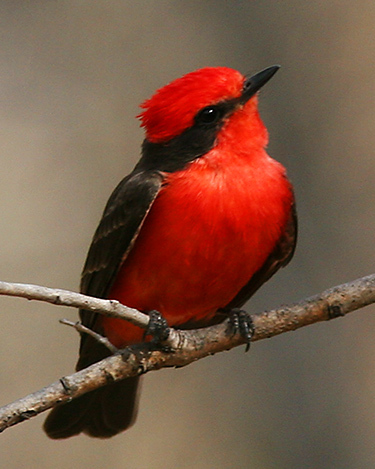 With over 256 species of birds documented, it is a “required” site for all serious birders. Just over the Santa Ritas, east, is Patagonia and Sonoita Creek, another one of the “best” bird watching havens in the Southwest. 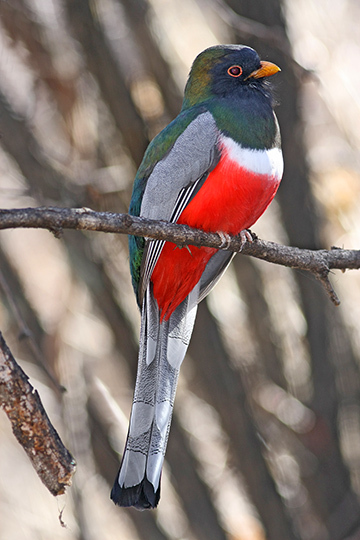 This lush riparian area provides habitat for over 200 species of birds, among them are the Elegant Trogon, Black-capped Gnatcatcher, Gray Hawk, the Zone-tailed Hawk and occasionally the Common Black-Hawk. Just a little further east is Sierra Vista, Fort Huachuca, Ramsey Canyon, and a host of other canyons and grasslands that are sacrosanct to people who love birds (It was several years ago at Sierra Vista on the San Pedro River that I saw my first Green Kingfisher pictured here). And, I haven’t even begun to mention the areas west of us at Green valley, like the rippling grasslands of the Buenos Aires National Wildlife Refuge, 118,000 acres of habitat supporting the preservation of the Masked Bobwhite Quail, the Pronghorn Antelope, and other endangered wildlife. This is truly one of the great areas for finding many species of sparrows. In comparison to the Northwest, the SE Arizona desert/mountainous habitat is a completely different world. But it is that very difference which brings its own beauty and mystery. These mountainous areas southeast of Tucson are collectively known as the Sky Island Region. This region of southeastern Arizona is one of the most biologically diverse areas in North America, where the temperate and tropical zones meet, and North America’s two major deserts converge. Here, more species of mammals, birds, reptiles, bees and ants are found than any other place in the country! From giant saguaro cacti of the Sonoran desert to shady conifer forests at nearly 9,000 feet, one passes biological diversity equivalent to a drive from Mexico to Canada in just 27 miles. There are other birds, while not necessarily limited to this area that are target birds for birders when they come to this region. 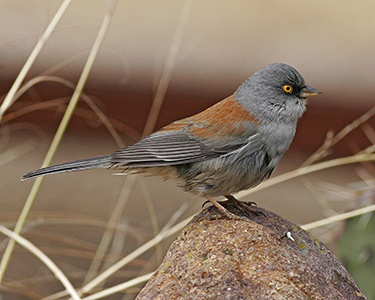 Birds like the Montezuma Quail, Painted Redstart, Rose-throated Becard, Gray Hawk, etc. But the real joy, for me, is finding the rarities that are seldom ever seen in the U.S. and very rare even in Arizona. 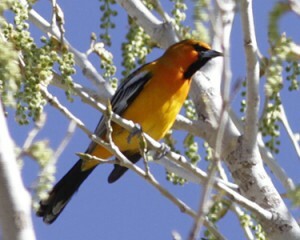 One of these is the Streaked-back Oriole which I saw just a few weeks ago in Tubac, a little town just south of us. The Streak-backed Oriole, Icterus pustulatus, is a medium-sized icterid (the same family as many blackbirds, meadowlarks,, grackles, etc.) 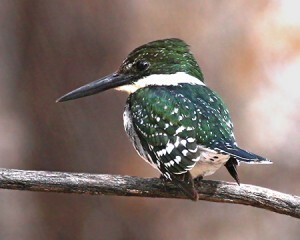 It is primarily found on the west coast of Mexico and also in Costa Rica. It is a very, very rare visitor in the Southwestern United States. It was the Arizona-New Mexico Birding ListServ on the internet where I first noticed that a Streaked-backed Oriole had just been spotted not too far from Tubac. Since we were staying only a few miles from there, I jumped in my car and raced to the location mentioned in the directions: on the Santa Cruz River one-fourth mile north of the Santa Cruz River bridge on Bridge Road. Not familiar with Bridge Road, I had had to get a map from the internet to show me the location of this road and the bridge crossing the river. The directions said to use the De Anza Trail which parallels the Santa Cruz River. This I found without too much difficulty. It was only after finding the trail that the difficulty began. Walking north on the De Anza Trail, a well used path through some heavy brush and tall cottonwood trees, was not too bad, but determining a fourth of a mile was not easy. After walking what I thought was that distance, I found that I was a hundred feet, at least, from the river. Determining that I had to get to the river in order to find the bird, I set out through the heavy brush, downed trees, gullies and the like. On the way to the river, I found several other birders, perspiring freely, also trying to find this illusive oriole. Finally after reaching the river, I had to decide whether to go right or left along the bank. To make a long story short, after an hour of trudging back and forth, meeting a number of other birders, using the password, “have you seen the oriole?” I was finally led to the spot where several birders were gathered looking across the river into a tall tree. This is where I saw the Streaked-back Oriole, flitting back and fourth from branch to branch. It was exciting, it was stimulating, and I wanted to shout as loud as I could to all the others that were still looking for it, “Here it is!” I didn’t. Rather I just enjoyed, quietly, a rapturous moment that only a birder can realize after finding a rare bird for the first time. By the way, I did have my camera and took several pictures of the Oriole, although it was at a distance, so the pictures are not the best. I’ve had several of those moments here in southern Arizona when I’ve found other rare birds. Rare birds like the Rufous-capped Warbler that I saw and photographed in Florida Canyon (right next to Madera Canyon), the Least Grebe (seen and photographed at Pena Blanca Lake just north of Nogales, Mexico), the Rufous-backed Robin, (seen and photographed just south of Tubac), and others. Those are moments that I cherish and I look forward to more of them. I hope that you also have enjoyed some of these types of experiences. If not, it’s not too late. I encourage you, if you have not done so lately, to get your binoculars and get out there birding. 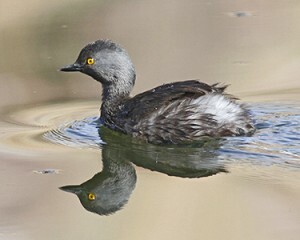 Who knows what rare bird you may find! This entry was posted in Ramblings and tagged Arizona, Birding, Birds, elegant trogon, Flycatcher, green kingfisher, Least grebe, Madera canyon, painted redstart, Patagonia, ramblings, ramsey canyon, sky island, Streaked-back oriole, Vermilion Flycatcher, wildlife, Yellow-eyed Junco by admin. Bookmark the permalink.